(MENAFN - Daily Outlook Afghanistan) VATICAN CITY – Pope Francis's weekend trip to Morocco aims to highlight the North African nation's tradition of Christian-Muslim ties while also letting him show solidarity with migrants at Europe's door and tend to a tiny Catholic flock on the peripheries. Francis will address the first two items on the agenda Saturday when he begins his 27-hour visit to Rabat, the Moroccan capital. He'll tend to the third when he wraps up the visit with a Mass and a meeting with Moroccan clergy on Sunday. "Morocco has always been a pioneer in initiatives of dialogue with Christians," said Abdellah Boussouf, an Islamologist and secretary general of the Council of the Moroccan Community Living Abroad. "Christians have always enjoyed their rights in Morocco, including freedom of movement, church building and marriage." 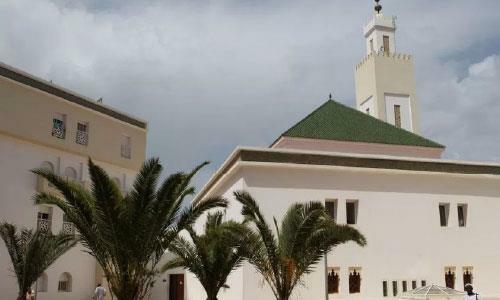 The highlight of the trip is likely to be Francis' visit Saturday to the Mohammed VI Institute, a school of learning for imams that epitomizes Morocco's efforts to promote a moderate brand of Islam and export it via preachers to Africa, the Middle East and Europe. Morocco, a Sunni Muslim kingdom of 36 million, reformed its religious policies and education to limit the spread of fundamentalism in 2004, following terrorist bombings in Casablanca in 2003 that killed 43 people. The trip follows Francis' February visit to the United Arab Emirates, where the pope and the imam of Cairo's Al Azhar, the seat of Sunni learning, signed a landmark joint statement establishing the relationship between Catholics and Muslims as brothers, with a common mission to promote peace. The "Human Fraternity" document outlines a shared set of values and principles common to Christians and Muslims, focusing on the dignity of every person and a rejection of violence committed in God's name. Muslims, Christians and Jews have long lived peacefully in Morocco, even though Catholics are a tiny minority of about 23,000. "As Christians and Muslims, we believe in God the creator and merciful one, who has created men and women and placed them on earth so that they might live together as brothers and sisters, respecting each other's diversity and helping each other in their need," Francis said in a video message to Moroccans released on the eve of the trip. The pope is travelling to Morocco 34 years after St. John Paul II became the first pope to visit. Later Saturday, Francis will visit a migrant center run by the Caritas charity organization. Morocco last year became the main departure point for sub-Saharan African migrants seeking to reach Europe via Spain, after Italy essentially closed its borders to migrants leaving from Libya.